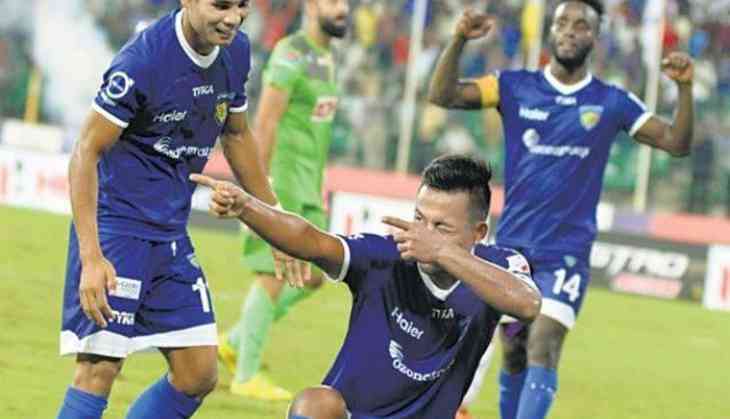 FC Goa coach Sergio Lobera Friday said the team is looking to play attacking football but is aware of the threat posed by the solid Chennaiyin FC defence. Defence is still Lobera's biggest concern. A 2-2 draw against NorthEast United in Guwahati showcased the team's strengths and weaknesses. While the defence shipped two goals, last season's Golden Boot winner Ferran Corominas notched a brace. "As a coach, there are some aspects we must work on, defence wise. But we play attacking football and we look forward to playing that," said Lobera ahead of Saturday's ISL match against the defending champions. He said the defensive concerns apart, the team has to focus on remaining aggressive against CFC, which has a strong defence. "Chennaiyin FC still have three foreigners at the back which is similar to last season. The names might have changed but, I think, Chennaiyin is a strong squad and defensively they will be very solid," he added. Chennaiyin FC coach John Gregory said the team will look to bounce back after the loss to Bengaluru FC in the opener. "We cant rely on one guy. This is football. You have to take chances and opportunities. We need to continue what we are doing and do it better. We limited the best team in ISL last year. We kept them very quiet. In the last 15 minutes, they had eight players sitting back around the penalty box to limit us," he added. Gregory wanted the players to improve their efficiency in front of goal. "We took huge positives from that (Bengaluru) game. We dominated the ball. But we need to use it a bit better in the final third..."
The Englishman said the CFC defence will have to be at its best against Goa which had a good attack. "Goa, if they get half a chance, they are always likely to score. We have to very aware of Coro who scored twice the other day. We have to ensure we are switched on defensively," he said.